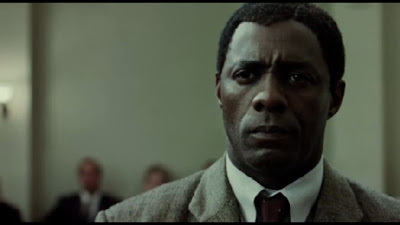 Idris Elba has finally reached that point in his career when his face is so recognizable that it overshadows the roles that he plays At least, that is the case in the Justin Chadwick-directed sweeping new drama, MANDELA: LONG WALK TO FREEDOM. 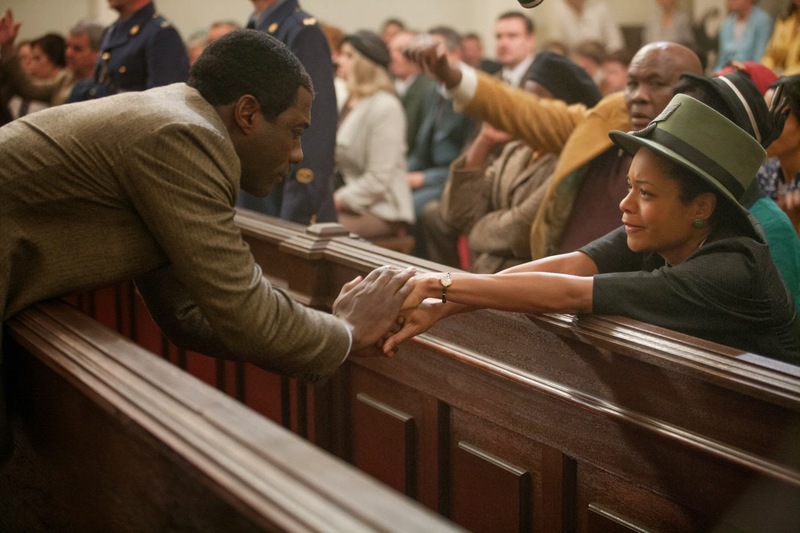 The actor stars as former South African president Nelson Mandela in a biopic/complex love story between him and his wife, Winnie (played by the luminous Naomie Harris). There's a moment early in the film when the megastar actor as a young Mandela is dancing in a club with several beauties, and all you can think is, wow, that's Stringer Bell cutting a rug or Luther's got some dance moves. That's not because Elba isn't emotionally connected to the role. Actually, it's more like the actor makes the role work for him. He doesn't exactly look like the renowned political leader, and he isn't who comes to mind when you think of Mandela. But Elba found a way to identify with Mandela enough to at least purport his mission, if not embody is essence (which he doesn't quite accomplish). It is not until the film progresses to the later years of Mandela's life, when Chadwick explores the politician's revolutionary political beliefs and eventual 27-year imprisonment, that the audience will begin to sync with Elba and take the journey with him as the older (and more familiar, to the younger generation) Mandela eventually shines through his performance. Only with the help of makeup and prosthetics does Elba's signature charisma and good looks melt away as he sinks deeper into the role. On the other hand, Harris as his better half commands the screen as soon as she first appears (about a quarter into the film), and immediately allows the audience to see inside Winnie's world--portraying how the political turmoil and virtual absence from her husband all those years ravaged her soul and gave her a hardened sociopolitical stance. Where Elba's forthright portrayal is reliable and falls just within the lines of what you'd expect from him, Harris fearlessly illuminates Winnie's point of view. In doing so, she portrays a type of feminism rarely seen in today's films--complicated, layered and provocative. Harris, who reportedly revealed she didn't know much about Winnie before she tackled the role, gives her a distinct voice amid the massive presence of her husband. Though the film mostly serves as a vehicle for Harris's underrated talent, Lol Crawley's cinematography shouldn't be overlooked. Each shot of the film has gorgeous photography--from Nelson and Winnie's traditional wedding to Winnie's speech in front of her house after her horrendous stint in jail. Crawley and Chadwick ignite South Africa with a single shot. 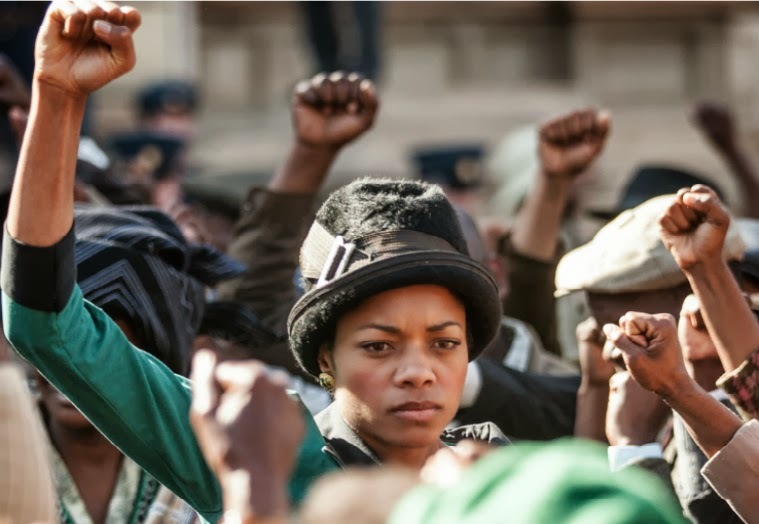 If William Nicholson's screenplay does anything, it intrigues audiences enough to want to learn more about Winnie Mandela. It would have been more compelling had Winnie been the main focus, especially given the number of Mandela films there already have been in recent years. But you can't hate on it to too much; it brought us the remarkable Naomie Harris. MANDELA: LONG WALK TO FREEDOM is in theaters November 29th.